David Lyttle + Co, Chartered Accountants, Registered Auditors and Chartered Tax Advisors have offices in Cookstown, Magherafelt and Carryduff. The company employs 18 staff across all offices and is headed up by the 3 directors David Lyttle, Stephen McGeagh and Erica Convery, and Practice Manager Sharon Hamilton. Helen Jones manages the office in Magherafelt and Nelson Boyle manages the office in Carryduff. David is a Fellow of the Institute of Chartered Accountants in Ireland and is also a member of The Chartered Institute of Taxation. He has had wide experience in practice, especially within the field of taxation. This practical experience enables him to understand the problems faced by business owners and tax payers. 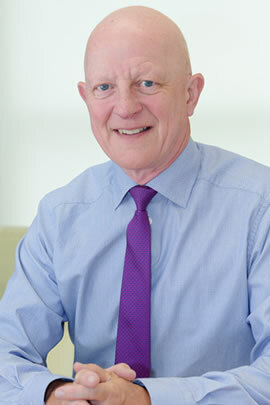 David specialises in taxation matters, personal, corporate and capital. He can advise you on many aspects of our complex tax laws and provide you with advice to ensure that your affairs are structured in the most tax efficient manner. Property taxation is of special interest to David and if you require advice on this area please feel free to contact him. 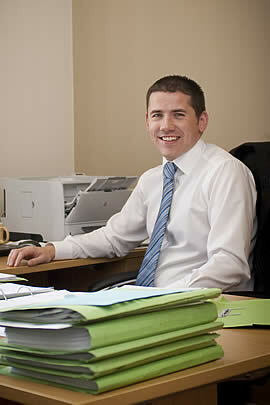 Stephen qualified as a Chartered Accountant in 2005 and as a Chartered Tax Adviser in 2007. He previously worked for PricewaterhouseCoopers and gained a wide and varied experience in accounting and taxation matters. Stephen has gained an extensive knowledge of practical accounting and taxation across many different business sectors, which he can use to assist you in the development of your business. Stephen has a particular interest in Republic of Ireland Taxation. He is also a Sage Accredited Trainer, who can provide you with advice on how to get the best from your Sage Accounting System. Please feel free to contact Stephen on any of these issues. Erica trained with David Lyttle + Co and qualified as a Chartered Accountant in 2011. 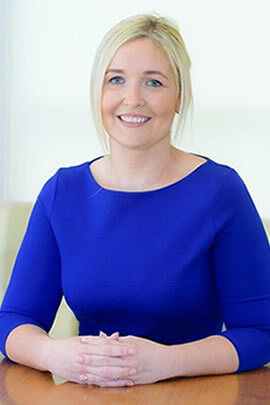 Erica also has a broad range of accounting and taxation skills and will play a key role in helping clients to prepare for the HM Revenue and Customs Making Tax Digital project which will bring a significant change for many businesses to the way they file information with HMRC. Please feel free to contact Erica on any of these issues. The team at David Lyttle & Co consists of three directors and eighteen staff across three offices in Cookstown, Magherafelt and Carryduff. Our approachable staff, who are all trained to a high standard, ensure that all of our clients receive a professional, reliable and timely service. We aim to work closely with our clients to maximize wealth creation through increasing revenues, reducing costs and managing taxation affairs to minimize taxation liabilities within the legislative requirements. We will use our experience gained across a number of industry sectors to enable us to provide you with practical advice to help your business grow. We can help to guide you through the complexities of your specific industry sector to help you achieve a common business objective - maximizing profit. Please feel free to contact us for a no obligation discussion about your business needs.